Hifi Pig brings you a series of promotional articles about our Great British Brands at High End Munich 2018. We let them tell you all about their philosophy and products. Black Rhodium supplies very high quality cables for discerning audiophiles and music lovers who like their music. We enjoy music and we want to share it with everyone. That is why we are continuously striving to create better and better cables that bring our closer and closer to the musicians who are performing on our music systems. Black Rhodium cables are offered in three ranges, Intro, Enhancement and Revelation. Intro cables are the least expensive Black Rhodium cables aimed towards your first music playing system. They are also ideal for your first cable upgrade if your music system was supplied with its own cables. Intro range cables have won many ‘Cable of the Year’ and 5 Star awards, giving you’re the assurance that you can buy Black Rhodium Intro without needing to spend time comparing cables from other brands. Enhancement range is directed at music lovers who already have music systems and want to enjoy even better sound. You may already have a good cable, possibly from Black Rhodium Intro, and wish to upgrade. Alternatively you may be buying a new system with a higher budget. Whichever way you want good sound and you a prepared to pay for it provided it delivers. Black Rhodium Enhancement range enables your system to sound better and better the further up the range you go. Revelation range is the Black Rhodium choice for high end systems. Whereas in the Enhancement range, compromises have been made to deliver the best sound quality within its price, Revelation is the application of the very latest and most advanced Black Rhodium research into cable design. Revelation embraces the very best materials and processes including pure palladium wire in the Cantata. Black Rhodium cables and connectors have proved very popular with dealers and distributors that we are now marketing them as a separate range. Loudspeaker cables are particularly popular and we have three ranges of the popular ‘twisted pair’ Twist, Twirl and Samba. We also have the more traditional cables in an outer sheath – Opus, Jive and Tango. Customers wishing to terminate their own cable can also buy the approved Black Rhodium connectors as used in many Black Rhodium terminated cables. Our Iconic Masterpieces are the cables by which everyone recognizes the Black Rhodium brand. Iconic Masterpieces have all received outstanding reviews for their sound quality, glowing testimonials from customers and found their way into many homes. These are the cables that dealers and distributors put at the top of their purchase list because they know they will sell quickly. They know that customers who audition them at home are much less likely to return them unsold. Twist is the ideal low cost high performance loudspeaker cable. It is highly affordable thanks to its twisted pair construction that avoids the extra cost of an outer sheath used on the more ‘traditional’ loudspeaker cables. Its sound quality is enhanced by its thicker insulation that reduces distortion due to magnetic field interaction between conductors, giving a much clearer sound and better separation between voices and instruments. Foxtrot and Quickstep (Illustrated) are two very similar cables that are separated in price and performance by the outstanding GN-1 Straight Line Contact plugs. Both cables have a very strong following amongst Black Rhodium customers. Overture is the product of the very latest Black Rhodium research into cable design. A special part of the design is the application of more advanced vibration control and screening. A worthy addition to the Black Rhodium Revelation range and a welcome part of any high end music playing system. Stylus DIN Tone Arm cable has won very strong praise from reviewers and customers alike. In an area where few high end products exist, Stylus shines as a worthy addition to any vinyl plying music system. Allegro 75 Ohm Digital Audio Cable is a worthy enhancement to any music system, delivering clean clear sound to the music. Stream Mains Power Cable has surprised us by its enormous success with very encouraging and complimentary reviews. These have been followed by extremely complimentary testimonials from customers whose music playing systems have been transformed by one, two or even three Stream cables in their systems. Stream has a very special advantage for high end consumers in that its middle of the range price is matched by a musical performance that does not let down high end components, enabling several components to be upgraded at reasonable cost. Black Rhodium cable designer Graham Nalty has been researching the best ways to reproduce sound in the home for over 40 years. His earlier work on amplifiers demonstrated that simply by using higher quality components in an amplifier, the sound could be greatly improved. For the last 25 years, Graham has been concentrating on the design of audio cables. One of his earliest cable designs was judged the best of ten competing models in a magazine test, even though it was the least expensive in the group. The simple reason was that cable used a higher grade of conductor wire and insulation than all its competitors – a throwback to his earlier design work on amplifiers. In 2002, Graham Nalty launched Black Rhodium, making full use of his previous design experience. The brand soon developed a reputation for its highly musical sound quality, winning many 5 star reviews in leading magazines. Much has been written to explain why cables sound different. Extensive research by Black Rhodium has shown that almost every form of audible distortion that changes the sound in a cable can be explained by an understanding of the Laws of Physics. By understanding how the Laws of Molecular Theory, Dielectric Absorption, Electric and Magnetic Fields and Mechanical Vibration all can change sound quality (for the worse! ), Black Rhodium has developed an extensive range of engineering design solutions that can minimise all these effects. Every engineering solution to reduce cable distortion and improve sound quality has a cost. The secret of good cable design is knowing which solutions to apply to produce the best sound quality. Whilst the design of high end cables, such as those in Black Rhodium Revelation range, may be a matter of applying the very best available technology, it is far more challenging to design good cables in ranges, such as Black Rhodium Enhancement range, where compromises have to be made meet the consumer’s budget. Here extensive practical experience from hundreds of listening tests can offer the best value. Black Rhodium is committed to giving its very best sound quality to customers. U.K. based audiophile cable maker Black Rhodium has had numerous positive reviews across the globe, and has been a great resource for those in shopping for high performance cabling at all price points. The cables are designed with solid engineering behind them, a bit of trial and error, and, yes, listening. Black Rhodium now has a dedicated North American importer and distributor (Robert Meeks), proprietor of engulfaudio: HI-FI PUBLIC HOUSE. 1) Can you tell us a bit about your background and how Black Rhodium came to be? My background is electrical engineering and I studied Mechanical Sciences at Cambridge University. I was interested in railways at the time so I joined British Railways to work in signalling. I then moved on to research into new signalling systems. At the same time, I always enjoyed music and, being and engineer, I built my own audio amplifiers. After 13 years with the railways, I left work to set up a shop to sell hi-fi equipment, specialising in demonstrating loudspeakers in customers’ homes. At the same time my interest in electronics pushed me to design audio amplifiers that had the best sound quality possible. I sold amplifiers in kit form to designs that I wrote that were published in specialist magazines. When that business reached a peak, I moved on to manufacturing amplifiers for sale. Whilst I was pursuing sound quality in amplifiers, I realised that good cables made the system sound better and I added the manufacture of cables to my amplifiers. Within a few years, sales of cables became more successful than amplifiers and by the mid-1990s, I concentrated fully on developing cables. I created the business Black Rhodium in 2002, after previously selling cables in the same brand as my amplifiers. The Black Rhodium brand has since progressed as further understanding of how the Laws of Physics affects sound quality has moved the business to higher and higher levels of sound quality. 2) What about Black Rhodium designs, philosophy, business model, and customer relationships make it unique in the marketplace? What is very special about Black Rhodium is the strong commitment towards achieving the very best sound quality by thinking through the design process, developing engineering solutions to minimising distortion, then developing prototypes and understanding which design techniques deliver the clearest sound. At Black Rhodium we take great pride in offering our customers products that really make a positive difference to their pleasure in their music. What is unique about Black Rhodium is the commitment to use every possible measure to improve sound, in contrast to those whose cables boast one special attribute, but whose design is not so string in other areas. 3) Can you tell us about how you test finished designs, and about your reference system, along with your musical preferences? I always like to test finished designs first on a low cost system in comparison to a known product in my current range. I regard it as most important that a new design should give greater listening pleasure with greater separation of instruments and voices. I like a system with extreme clarity of sound and my loudspeakers are a small sealed box made from a concrete polymer material. This construction avoids the resonance that limits the sound in most wood or chipboard cabinets. 4) What do you for enjoyment when not designing audio cables and running your business? I enjoy going to the cinema and attending live musical concerts, especially large scale works such as Beethoven’s Choral symphony, Mahler symphonies, Choral music. This sort of music makes the heaviest demands on a home hi-fi system. I also have a strong interest in railways. I installed Black Rhodium speaker and interconnect cables through out two systems, and they are have brought an unparalleled musicality. natural tone & timbre, and resolution to table that is difficult to give up. Specifically, the $275 Symphony RCA and XLR IC’s, and the $400 Foxtrot speaker cables are amazing values. The build quality and the custom connectors are unheard of at this price, and the aforementioned sonics are superb. Black Rhodium embraces the full depth of engineering and experience developed by Graham Nalty in many areas of high quality audio design. He has shown that considerable advances in audio sound quality can be achieved by the use of the highest quality engineering materials. January 1 1975. Graham Nalty started in the hifi industry by selling loudspeakers through demonstration in customers’ homes. 1976. Graham Nalty’s first audio amplifier design for constructors was published in ‘Hifi Sound’ magazine. 1978. Graham Nalty opened ‘Graham Nalty Hifi’ shop in Derby. In the early 1980s, Graham Nalty continued retailing hifi equipment. July 1986. Graham Nalty designed the ‘Virtuoso’ modular preamp for publishing in ‘Electronics Today International’ magazine. This was the very first time that an amplifier kit design was offered with two levels of sound quality through the use a higher grade electronic parts. 1987. Graham Nalty publishes new amplifier designs for constructors in Practical Electronics and Everyday Electronics magazines. 1988.Graham Nalty publishes the ‘Virtuoso’ 100 watt stereo power amplifier in 3 different versions in which sound quality is progressively improved through higher grade components. 1989.Graham Nalty launches the DM20 amplifier dual mono integrated amplifier for sale through established hifi dealers. 1990.Launch of ‘First Mains’, the first mains cable dedicated to audio that used the designated mains colours for the cores. July 1990. Very positive review of ‘First Mains’ in Hifi News. A increase in sales followed. October 1990. Launch of the ‘VIOLET’ stereo interconnect with the innovative use of pure nickel conductors. 1993: ‘SILVER PINK’ stereo interconnect wins the Hifi Choice ‘Best Buy’ award. In a test of 10 cables, it was described as having the best sound quality even though it was the least expensive in the group. 1994: Launch of ‘VERMILION’ interconnect using titanium wire. This was quickly followed by innovative interconnects using molybdenum, niobium and rhodium plated molybdenum wires. 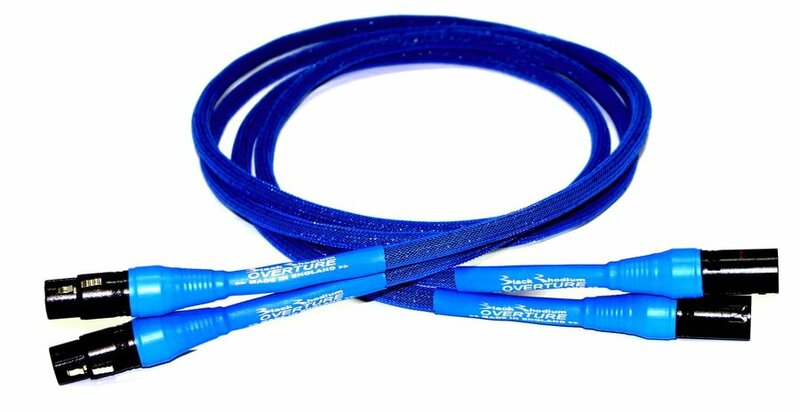 1995: Launch of loudspeaker cables using silicone rubber insulation. January 1997. ‘VERMILION’ wins the prestigious 5 star award in What HiFi? February 1996. 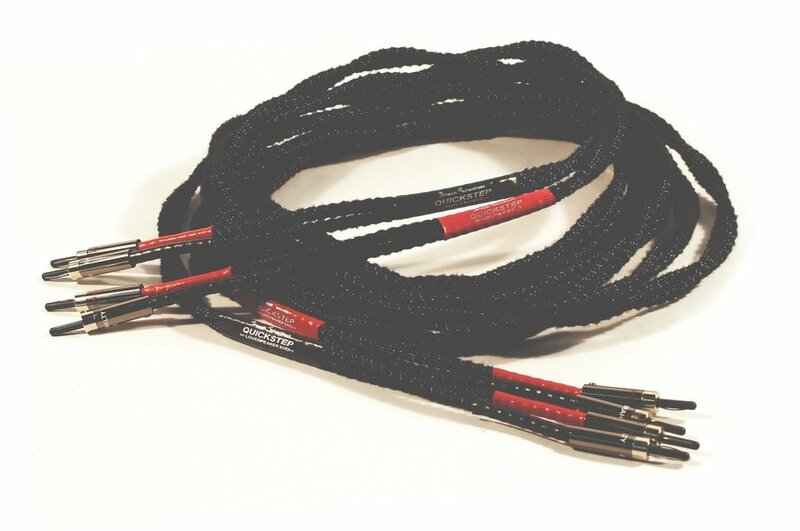 ‘AST200x2’ BiWire speaker cable wins 5 star award in What HiFi? Followed by ‘S300’ in October and ‘AST200’ in May 1998. February 2002. Launch of the ‘BLACK RHODIUM’ brand to signify the ‘exclusive’ quality of Graham Nalty’s cable designs. September and October 2004. Public demonstrations of the benefits of Deep Cryogenic Treatment at hifi shows in London and Manchester. During these demonstrations, 89% of the people taking part in the tests were able to describe the audible improvements with DCT. December 2005. Launch of Coral and Pearl HDMI cables HDMI cables for video. November 2006. Launch of first non microphonic interconnect ‘PRELUDE’ . By eliminating microphonic noise, a layer of harshness was removed and increased dynamics were observed on high frequency percussive instruments. May 2007. Launch of the first palladium interconnects, ‘CADENCE’ and ‘CANTATA’. September 2010. Black Rhodium launches ‘OYAIDE’ high end products from Japan at the National Audio Show at Whittlebury Hall, Northamptonshire. Black Rhodium had been using Oyaide connectors in the assembly of the ‘CRUSADER’ mains power cable and was impressed by Oyaide quality that he decided to become their UK distributor. April 2011. Launch of the Black Rhodium DCT ULTRA process with the new ‘ORATORIO’ stereo interconnect. DCT ULTRA cables are twice processed by Deep Cryogenic Treatment. Initially the bare wire (or wire insulated in a high temperature insulation) is processed by the advanced DCT++ process. The wire is then used to hand-assemble and terminate the cable. Then the complete cable is sent for a second DCT process. To further enhance the sound, the Black Rhodium exclusive ‘Crystal Sound’ process is also applied to the cable. Summer 2011. Black Rhodium launches new versions of its palladium wire cables using a new specially designed non-microphonic screened sheath and the new DCT ULTRA process. October 2013. Graham Nalty launches the Graham Nalty Legacy Range of products. The Graham Nalty Legacy Range has been created to offer a platform for Graham Nalty’s original designs based on his long industry experience. The first products were the GN-1 and GN-2 innovative ‘Straight Line Contact’ 4mm loudspeaker plugs. July 2014. Graham Nalty launches the Graham Nalty Legacy Range VS-1 Vibration Stabiliser after two years of testing the principle of applying mass damping to reduce audible distortion in cables. The Vibration Stabiliser is introduced in the Samba VS-1 loudspeaker cable which also uses GN-1 loudspeaker plugs. November 2014. Black Rhodium launches the first 110 Ohm balanced interconnect cable Sonata. The Sonata is the first cable designed to reduce a much greater number of different distortion mechanisms in cables including magnetic distortion, microphony, RFI and dielectric absorption. The Sonata is also reduces mechanical vibration distortion when fitted with VS-1 Vibration Stabilisers. February 2015. Black Rhodium launches the first DIN tone arm cable, STYLUS, using the Black Rhodium’s rhodium plated DIN connector. June 2015. Black Rhodium launches Titan its first triple screened power cable to further minimise RFI in power cables. May 2017: Black Rhodium Receives award winning reviews for Stream Power Cable. August 2017: Black Rhodium receives groovy and deeply groovy awards for Oratorio and Waltz. Black Rhodium continues to develop award winning cables, in order to improve the sound quality of your Hi-Fi System. For more information on our quest to design the very best cables, sign up to our free newsletter here. This is a summary of the Tone Arm Cable Range. To gain access to our Free 11 Steps Booklet, Sign Up To Our Newsletter Here. The special prize is a Black Rhodium Power Stream with your choice of Power connectors. We would like to thank all of our Dealers, Export Distributors and our amazing customers for supporting this prestigious Black Rhodium cable. What Makes Fusion Power Cable So Popular? Fusion mains power cables employ 19 stranded cores of 0.3mm diameter silver plated copper wires, making it suitable not only for equipment with high current demands such as Class A amplifiers, but also for power distribution from the wall sockets to a whole music playing system. Fusion mains power cables are designed for low ‘Transient Phase Distortion’ by increasing the thickness of the inner insulation to 0.8mm. Fusion mains cables have been designed to give a very clear diction of a singer’s voice and separates musical instruments superbly through a dramatic reduction of ‘Transient Phase Distortion’. ‘Transient Phase Distortion’ is reduced by using thicker insulation than usual in cables, increasing the distance between conductors. This reduces the magnetic field seen in each conductor wire as a result of the magnetic field created by the current in the other conductor wire. The benefit in listening is a clearer and more open sound quality. Fusion mains power cables use three silver plated copper cores for positive and negative signal flows and earth. The positive and negative cores are connected in opposite directions. Experience shows that when cables are connected this way, the noise floor between the musical notes lowers. This gives ‘blacker’ silences in the interval between musical notes and enhances the reproduction of the musical edges and natural decays in music. Silicone rubber insulation is used because its low dielectric loss ensures extremely low distortion. This is due to dielectric absorption effects in which sound energy is absorbed in the insulation and released at a later interval of time to create highly audible time-smearing distortion. Fusion Terminated Mains Power Cables are fitted with selected high quality connectors chosen for their robust manufacture and superior sound quality. Further measures are taken to reduce mechanical vibration and RFI in making the connection between cable and connector. This is a special feature of the new terminated Fusion Power Cables. Each Fusion VS-1 13A-IEC is fitted with a Graham Nalty Legacy Range VS-1 Vibration Stabiliser. The Vibration Stabiliser has been specially designed to reduce audible cable distortion in cables by limiting the effects of vibrations travelling through the conductor wires which can cause audible distortion to your music. The benefits of a tighter sound of the VS1 are enjoyed in all types of music, but in particular plucked strings such as double basses and harps are reproduced in a much sharper presentation as described in a recent review.